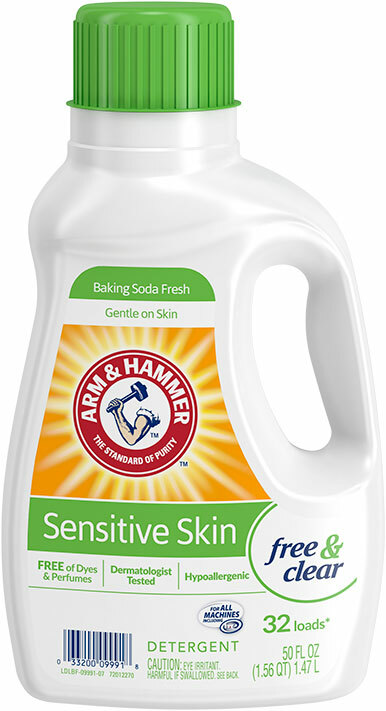 Excellent companion to any laundry detergent!! 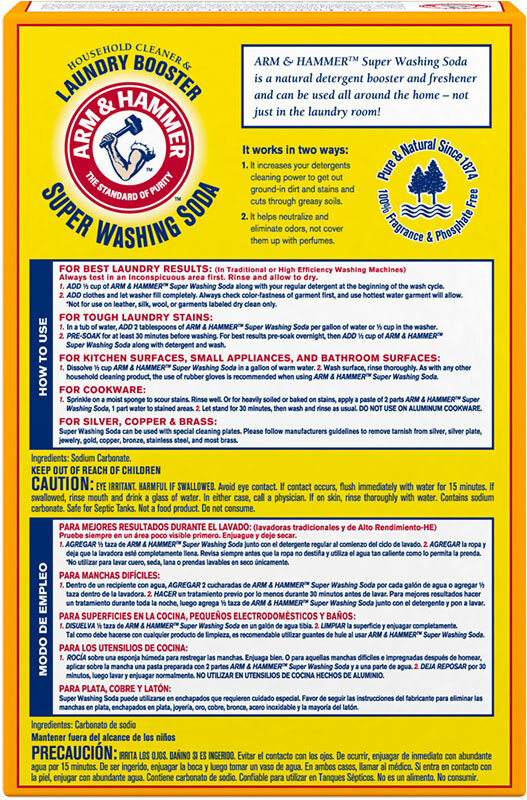 I started buying A&H Super Washing Soda a few years ago and am glad I did. 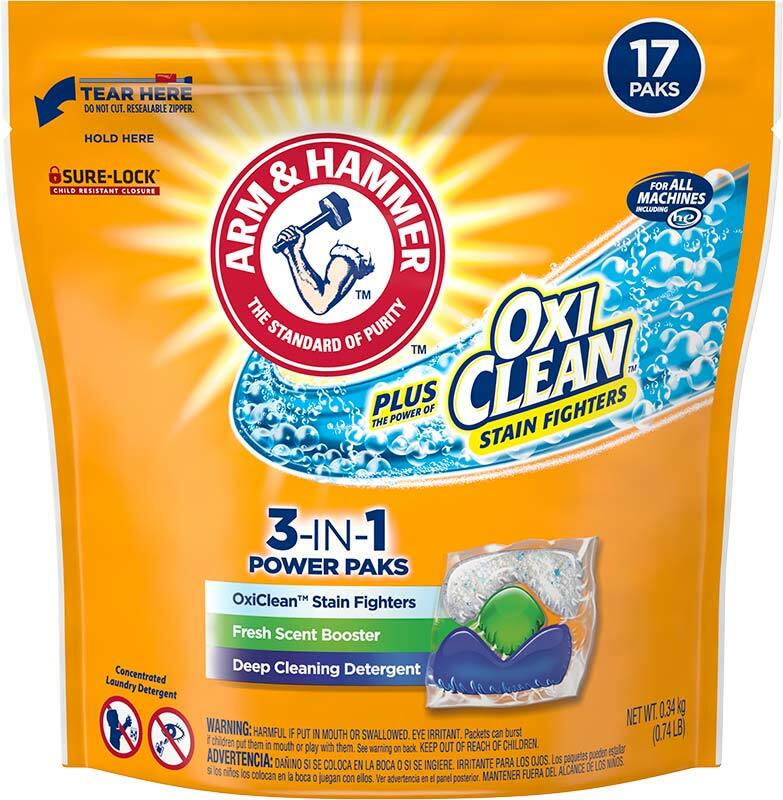 It works great with any liquid laundry detergent (I don't use powdered detergents), and helps eliminate stains and odors from dirty clothes. 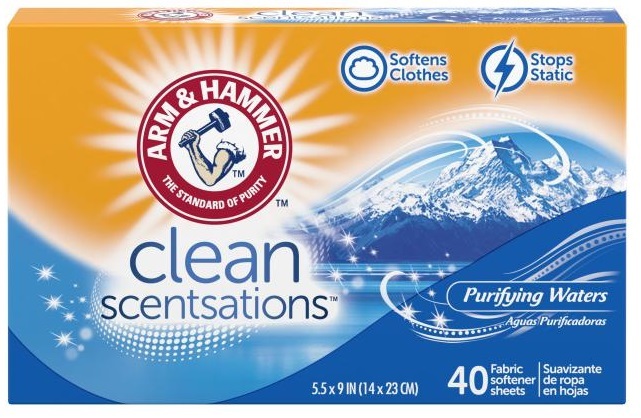 It's also not scented, so that way clean clothes will still smell only like the detergent that was used. 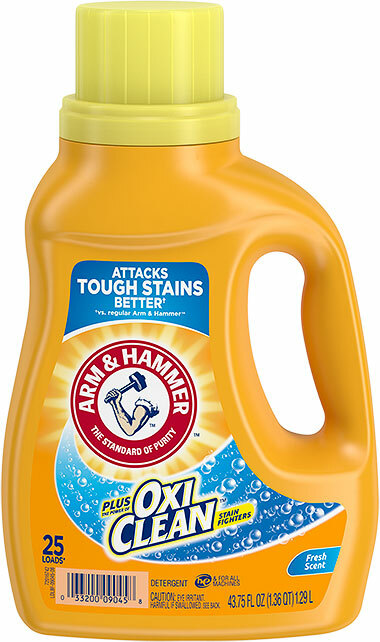 I would definitely recommend this product to anyone who wants a big boost with their detergent for washing their laundry. 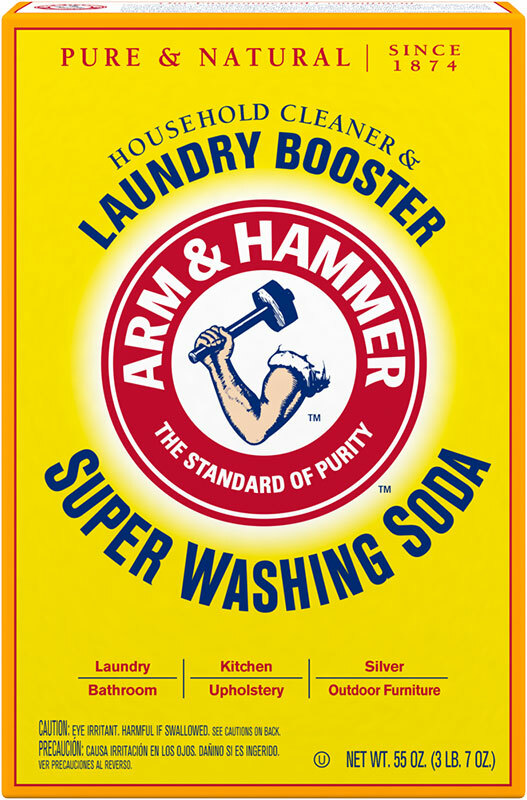 No laundry room should be without Arm & Hammer Super Washing Soda. I bought this to try out the craze on making your own laundry detergent. As time went on I decided to just get your detergent and add booster for the super soiled clothes. It also worked great on cleaning my upholstery in my camper! I just took the cushions and mattress outside washed them down and let them dry outside. Smelled great after! Super Magic Washing Soda, Goodbye Stains! I brought this product a few days ago hoping that it would get the Cherry Popsicle stains out of my 5 year old granddaughter's white jeans and white, blue and pink top. The stains had set in and I wasn't very hopeful. Well all I can say is, GOODBYE STAINS! The whites are whites and the colors are bright - stain free! I'm a believer!